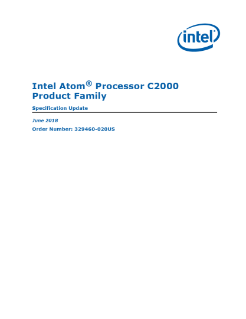 This document is an update to the specifications contained in the Intel® 64 and IA-32 architectures software developer’s manual. This document is a compilation of device and documentation errata, specification clarifications, and changes. It is intended for hardware system manufacturers and software developers of applications, operating systems, or tools. Bring productivity back and upgrades your PCs with Generation Intel® Core™ processors.